This year's Comic Con was a blast. There was plenty to see, as usual, but this year's highlight was the premiere of Kick Buttowski's hero, Rock Callahan's movie, El Jaywalker. The great folks at Disney Television Animation produced this custom short and it was a privilege to collaborate with them on it. Dwight Howard (voice of Rock Callahan) made an appearance at the Con with show creator, Sandro Corsaro, Charlie Schlatter and Matt Jones (the voices of Kick and Gunther). It was great to see them all together and they definitely entertained the crowd. Also in attendance was Uber Illustrator, Tracy Tubera, signing his Comic Con Exclusive, Radiclaw. Tracy had a few other pieces at the Con as well. It was great to see Tracy getting the exposure he deserves. All in all, it was a great Con and meeting Dwight was awesome. Check out all the photos here. 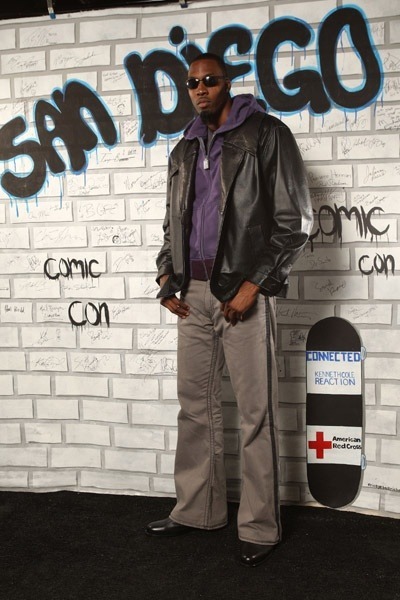 ** UPDATE: Watch El Jaywalker himself enter the Comic Con panel here.